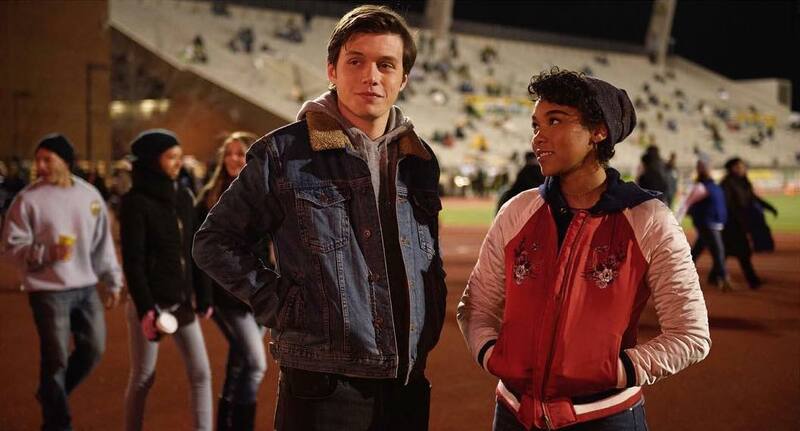 Many films have tried (and seemingly failed) to capture what Love, Simon does so perfectly. This is a movie about “coming-out” and the angst of being a closeted homosexual, while you’re at high school, and it approaches the subject in a clever, funny and subversive way. It never feels like it is trying too hard to show what “gay” is like but instead tackling what being someone you are not is like and because of this it is a funny and relateable movie. The writing in Love, Simon is superb. The dialogue, for the most part, feels very natural and makes each of the characters believable and real. It never feels too staged and people speak as you’d expect. It manages to bypass the “teenager” speak very well and the kids don’t feel like they have been written by adults and aside from one exception, the adults don’t feel like the strange beings invading these young people’s lives. The real bones of this story is the secretive, anonymous relationship between Simon and whoever his gay confidant, Blue, may be. This leads to sub-plots regarding blackmail, manipulation and plenty of “who-is-it?” red herrings as Simon, and the audience, are trying to figure out who Blue could be. It is also a clever device for gaining insight to what Simon is feeling and how difficult it is being gay in secret, especially in the always scary world of the American High School. This story flexes it’s dramatic muscles as well as it’s comedic ones and this is a strength. Simon is played by Nick Robinson and he holds the film together well, managing to be likeable even when he is clearly making poor decisions. The fact that you want him to succeed in each of his tiny moments is credit to how sympathetic a character he is. The rest of the cast supports very well too but it is Simon’s parents, played by Jennifer Garner and Josh Duhamel, who come into their own when the movie begins to reach a finale with some of the most poignant and truly touching scenes. Unfortunately, not all the characters get off that lightly. 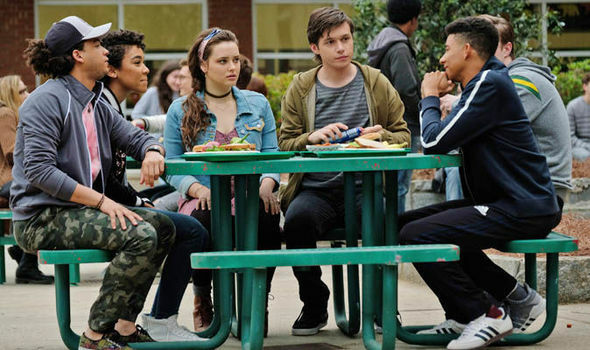 Love, Simon is a high-school movie and whether by accident or design, it falls into the trap of hitting almost every high-school movie cliche. 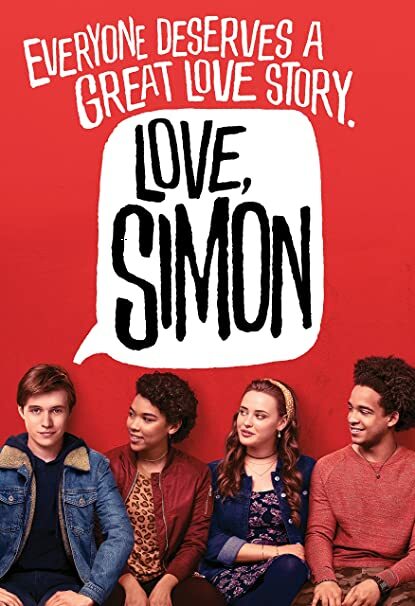 From the geeky and awkward teacher (played by Arrested Development’s Tony Hale) to the sassy teacher who “speaks her mind” through to the poor school production, the bullies who get their comeuppance and the far too cool high school party: if there is a high school cliche to hit, Love, Simon includes it. This also goes for the finale. The movie ends on a positive note but a far too cheesy one. There is a realistic drama through Love, Simon but the ending feels too easy and too predictable. It does work as a feel-good factor but manages to undercut some of the great work the movie does for most of the run-time. Overall, Love, Simon is a well-acted, well-written and very clever story which should speak to anyone who doesn’t feel like they can be themselves. It has a great story with plenty of drama as well as smart humour. Work past the high school cliche and you have a great modern movie. I keep hearing about this movie! I need to find somewhere online to watch it, because your review has me intrigued! It is well worth watching. Really surprised me.